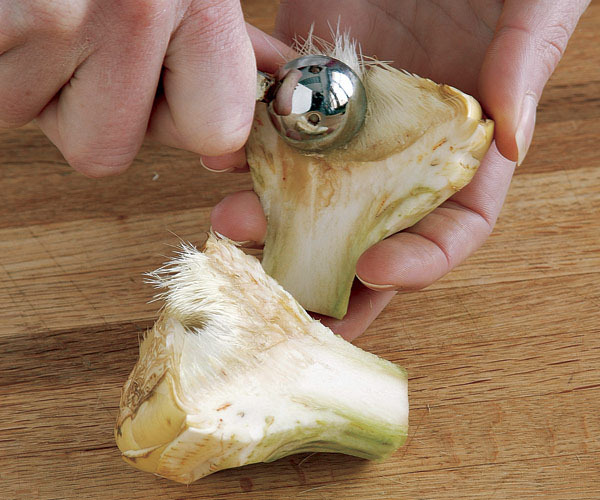 Since artichoke flesh will start to discolor as soon as you pare away the skin, fill a large bowl with cold water and add the juice of one lemon before you begin. 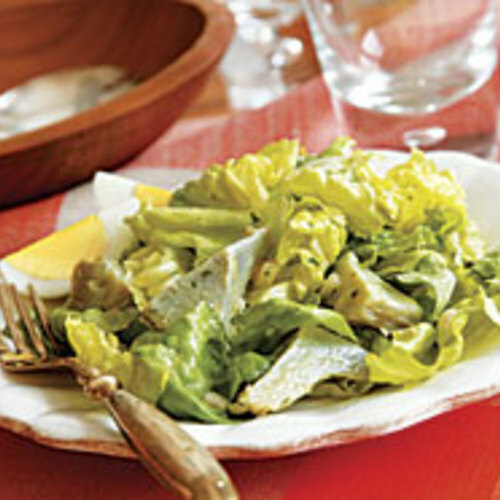 Dropping the prepared artichoke bottoms in the lemon water wiill slow down the discoloration. 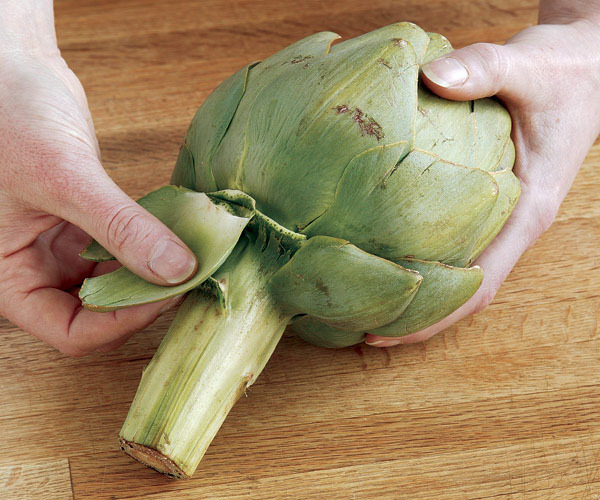 Pull back the outer leaves of each artichoke until they break at the base. Keep removing leaves until you reach the pale yellow-green cone of tender inner leaves. 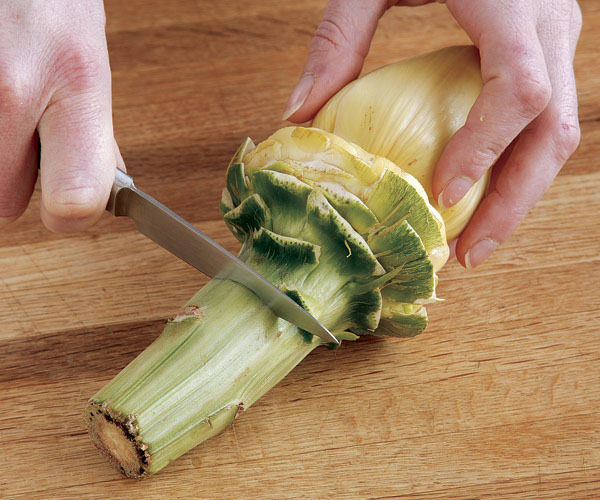 With a sharp knife, slice off all but one inch of the stem. Cut across the cone of inner leaves just above where they join the base. Discard these, but reserve the outer leaves for steaming, if you like. 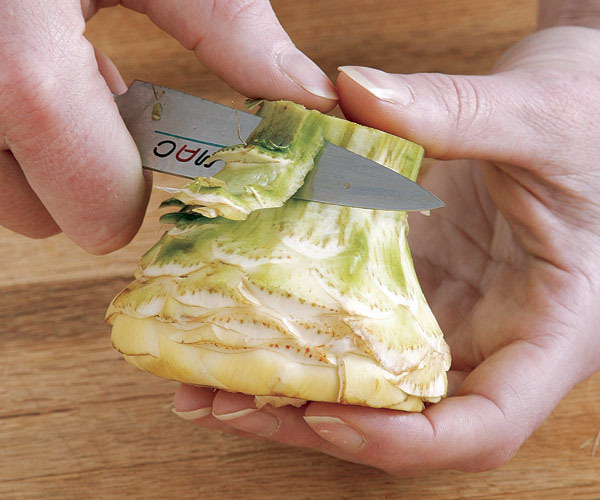 With a small knife, pare the stem and the base, removing any dark green parts. If you like, cut the stem and base in half. With a melon baller or a spoon, scoop out and discard the hairy choke and prickly leaves inside. 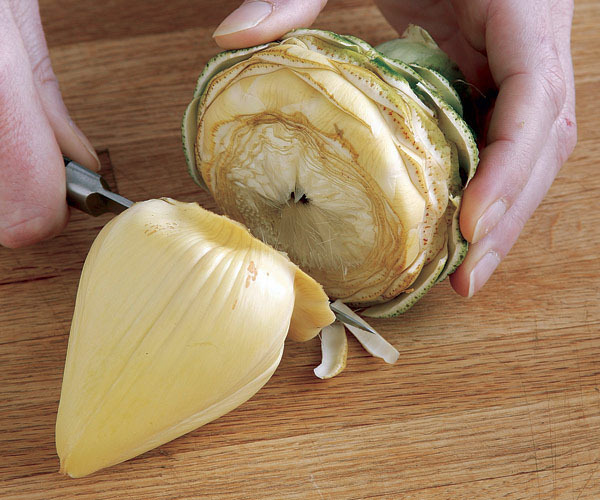 Immediately drop the trimmed artichoke into the lemon water to retard browning.